We invite you to help FUNDECI/GAIA and wear a trendy clothing item at the same time. Laguna de Apoyo t-shirts are now available at Estacion Biologica in two colors-red and blue. The t-shirts are high quality, TricoTextil fabric and stitching, and serigraphed with the Laguna de Apoyo logo on the front. Two full-sized designs adorn the back. 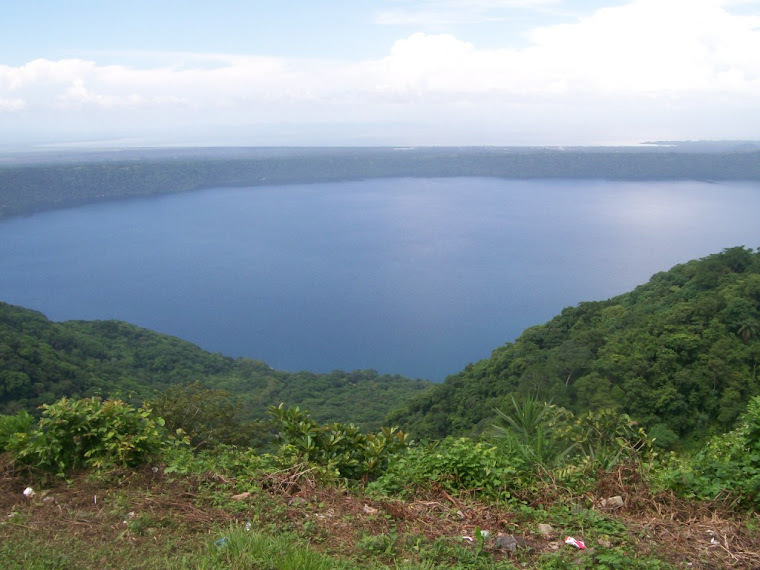 One is of a toucan, a squirrel and a Midas cichlid-all emblematic wildlife found in Laguna de Apoyo Nature Reserve. The other back design shows the six endemic fish species of Laguna de Apoyo. These six species, all members of the Midas cichlid species complex, are facing threats of extinction due to human activity. Our work to learn about them and their needs helps the civil society and the government of Nicaragua to determine what measures are most important to protect these species. The back designs are available in either color. Prices ten dollars for small or medium, eleven dollars for large or extra large. The designs on these t-shirts were provided generously by volunteer Silvia Machgeels. By purchasing a t-shirt, you contribute to our program in wildlife monitoring in Laguna de Apoyo Nature Reserve. Please come by Estacion Biologica Laguna de Apoyo to pick up your t-shirt or write us at apoyo@gaianicaragua.org. We will gladly send you one!